Call us at (805) 642-8982 during business hours for renewals or email ask@vencolawlib.org. To access the library’s online catalog, click HERE. The library offers a selection of self-study MCLE CDs. CDs check out for one week and can be renewed once if they have not been requested. For your convenience, here is a printable log to keep track of your MCLE self-study hours. Books and materials may be borrowed from the Library in accordance with the following rules. A. Registered Borrower. Any member in good standing of the State Bar of California, active or inactive, who resides or maintains an office in Ventura County. B. Authorized Borrower. Any messenger service or person associated with a Registered Borrower, Judicial Borrower, Official Borrower or County Borrower in a law or government office in Ventura County, authorized by the Borrower to borrow material for the use of and upon the financial responsibility of the authorizing Borrower. Such designation shall be made only for the convenience and use of the authorizing Borrower, and shall not be made for the object of giving borrowing privileges to those who otherwise do not qualify under these rules. Signed requests for Authorized Borrowers must be made in writing to the Library by the authorizing Borrower. The authorizing Borrower is responsible for notifying the Library when they no longer wish an Authorized Borrower to borrow for them. At that time the Authorized Borrower will be deleted from their patron record. C. Judicial Borrower. Any judge of a court located in Ventura County. D. Official Borrower. At the sole discretion of the Librarian and for the purpose of conducting government business, any official of the United States or of the State of California who resides in or maintains an office in Ventura County or any subordinate of these officials, who does work of a legal nature in the performance of official duties. E. County Borrower. Any head of a non-attorney County department or agency who does work of a legal nature in performance of official duties may borrow material from the Library to be returned the next day. All fines and charges incurred by County Borrowers or their subordinates who have been designated as Authorized Borrowers, shall be charged to the head of the department or agency. F. Temporary Borrower. 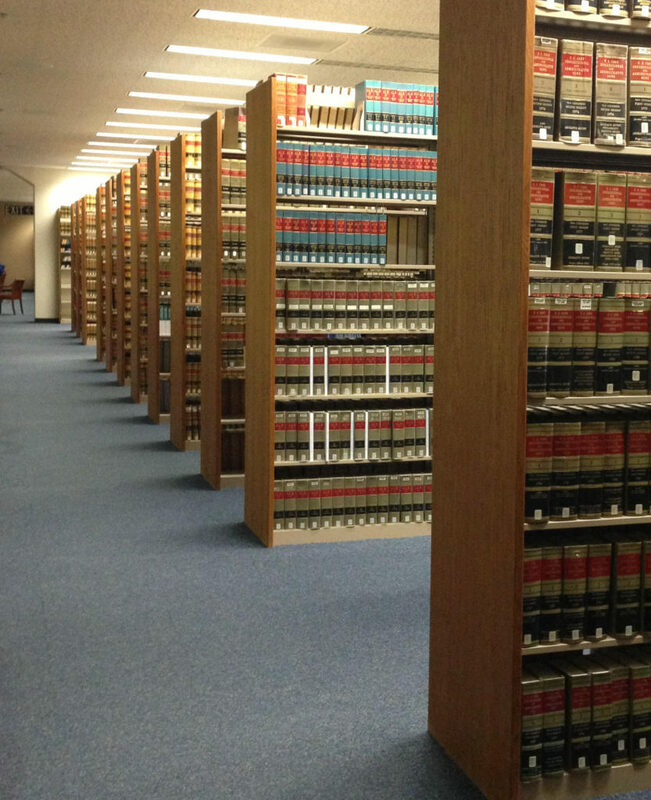 At the sole discretion of the Librarian, members in good standing of the State Bar of California who practice in other counties in the State of California may borrow material for overnight. They must be actively engaged in trial in VenturaCounty and register with Library personnel by showing their California State Bar cards, giving the name of the case and the name of the judge assigned and filing out a signature card. G. Deposit Borrower. – Residents of Ventura County, residents of Westlake Village, Agoura, Agoura Hills and Malibu in Los Angeles County, and residents of Ellwood, Isla Vista, Goleta, Santa Barbara, Montecito, Summerland, and Carpinteria in Santa Barbara County who do not qualify as Borrowers under the other categories set forth above may borrow material pursuant to the following rules and additional rules for Deposit Borrowers. 2. Signature cards and library cards. All Borrowers, except Authorized Borrowers, must maintain a current signature card on file with the Library. A Registered Borrower must show his/her California State Bar card and proof of residence or business in Ventura County at the time of filing out an initial signature card. New signature cards must be approved by Library personnel. Once approved a library card will be issued to all Borrowers except Authorized and Temporary Borrowers. The Borrower is responsible for all materials checked out on their card and should report a lost card immediately to the Library. The Borrower should give the card to their Authorized Borrower for checking out library materials. A list of Authorized Borrowers will appear on the Borrower’s patron record at the time of checkout. The initial library card is free, but a $5 fee will be charged to replace lost, missing or stolen library cards. 3. Books and materials that may be borrowed. Reference books, some loose-leaf services, certain codes, reports, digests, citators, rare books, material received by federal depository and other unique items may not be borrowed and will be marked “Non-circulating” or “In Library Use” on the pocket . All other items may be borrowed. 4. Loan period. Books or materials may be borrowed for a period of 7 calendar days, 3 business days or overnight as indicated on the pocket. Material due on a day when the Library is closed shall not be due until the next day the Library is open. No items may be borrowed if overdue fines have not been paid. However, one renewal will be allowed without payment of the fine. 5. Renewals and Holds. An item returned on or before the due date may be borrowed a second consecutive time as long as there are no holds pending. After the end of the second borrowing period the item must be returned to the shelf overnight to afford others the opportunity to use it. Items that are checked out may be placed on hold. The renewal or hold may be done in person, by telephone or by email to ask@vencolawlib.org. An overdue item may be renewed if there are no holds/reserves. However, a fine will be charged and the borrowing privileges will be suspended for further transactions until the fine has been paid. 6. Number of items that may be borrowed. No more than 15 items may be checked out at one time by any Borrower. Overdue charges shall not be waived and may not be applied to the replacement cost of lost material. Overdue fines shall accumulate until the material is returned, renewed, or declared lost by the Borrower who must convey this to the Law Library. Our system sends auto-email notifications to remind patrons of the status of items. They include the following: Item Due Reminder (sent one day before item is due), Item Overdue (sent one day after item is due), and Hold Placed on Item (sent when item has been placed on hold by library staff or the patron). Please update your email with staff to ensure receipt of these notices. Status reminders on items are a courtesy; it is the borrower’s responsibility to keep track of items checked out to him/her. If an item is found by a Borrower who has previously declared it lost, the date of the order for replacement shall be deemed the cutoff date and the Borrower shall be charged the full amount of replacement of the item in addition to the overdue charges accrued. If the item is found and returned before the order for replacement is made, the item shall be considered overdue up to and including the date returned, and the Borrower shall be charged accordingly. Any item not returned within 30 days after the date of the overdue notice shall be declared lost by the Librarian and the Borrower may be charged accordingly. Payment by cash or check of all fines and charges may be made during all open library hours. Borrowing privileges will be reinstated at the time that all fines have been paid. If a check submitted for payment of fines or charges is returned for insufficient funds a payment in cash plus a $25 processing fee will be required. The check will then be returned to the Borrower. The Borrowing privileges of a Borrower who fails to pay the overdue fine at the time the item is returned shall be suspended until the fine is paid. The Borrowing privileges of a Borrower who fails to pay overdue fines in excess of $20 at the time the item is returned shall be suspended until the fine is paid. A $5 billing charge shall be added to fines over $20 not paid in full at the time the overdue item is returned, and a physical statement will be mailed. For patrons owing less than $20, courtesy email statements of the fines owed will be emailed periodically as a reminder of the amount owed. 8. Where to return material. All material must be checked in by Library personnel to insure proper credit. Items must be left in the place designated “Return Books Here” located on the circulation counter at the front of the library. Items may not be left outside the Library or in any other location. Material returned by mail will be deemed returned the day it is received by the Library. Materials borrowed are only for the personal use of the Borrower. Violation of this provision will constitute grounds for revocation of borrowing privileges. A check submitted in payment of fines or charges was returned for insufficient funds. 1. A minimum, refundable cash deposit of $200 shall be made by the Borrower which shall entitle the Borrower to borrow 2 items. 2. An additional $100 refundable cash deposit shall be made by the Borrower for each additional item to be borrowed. 3. Proof of residence must be shown at the time of deposit. 4. Deposits will be accepted during all open hours. 5. Charges for lost, damaged or overdue item may be paid by cash or check prior to the refund of the deposit. If a check submitted in payment of fines or charges is returned for insufficient funds, the amount of the check, plus a $25 handling charge will be deducted from the Borrower’s deposit. The Borrower will be required to add to their deposit enough cash to bring the deposit up to the $200 minimum ( or up to the $100 required for each item they wish to borrow over the two items covered by the minimum deposit) if they wish to continue to borrow. The Borrower will be required to pay all future fines and charges in cash. 6. At the time a refund of the deposit is requested, all charges for lost, damaged, or overdue items must be paid in cash, or deducted from the deposit prior to refund. The Borrower shall be charged for any additional expenses incurred by the Library as the result of replacement or repair of items borrowed by the Borrower that may be in excess of the amount on deposit. 7. Any interest earned on the Borrower’s deposit shall accrue to the benefit of the Ventura County Law Library to offset its expenses, and no interest shall be due to the Borrower. 8. Refunds of deposit shall be made within thirty days of receipt of a written request from the Borrower. 9. The rights and obligations of the Borrower are not transferable to another person. library circulation records kept for the purpose of identifying the borrower of items available in the library. Government Code Section 6254(j). library records that identify a patron, including, but not limited to, a patron’s name, address, telephone number, or e-mail address, that a library patron provides in order to become eligible to borrow or use books and other materials. Government Code Section 6267. *19911. Any person who willfully detains any book, newspaper, magazine, pamphlet, manuscript, or other property belonging to any public or incorporated library, reading room, museum, or other educational institution, for 30 days after notice in writing to return the article or property, given after the expiration of the time for which by the rules of the institution the article or property may be kept, is guilty of a misdemeanor. The parent or guardian of a minor who willfully and maliciously commits any act within the scope of this section shall be liable for all damages so caused by the minor.